The .lt file is only one of two things that dictates when a black flag is thrown. The lt file (lap tracking) gives the cars "borders" for the track, but only controls the car line when there is a yellow flag. The rec file in the AI folder is what dictates how the computer cars drive and if it is not within the borders of the lt file, you can still get black flags. That is why if you make a track alot bigger or smaller and make the lt file match it, you may still get the black flag. If you plan to run online only, you usually can get away with only modifying the lt file. that file works like this. This is the lt from DTR2 41st st. The DTR and DTR2 lt files are the same. The first number is how many reference points the track uses, in this case 9. The second number is how many point the program will look ahead to drive the car during the yellow. You should never have to change these for simple changes like track size or banking. The next 9 sets of numbers are the inside of the track and the track width one point at a time usually from the sf line around the track. 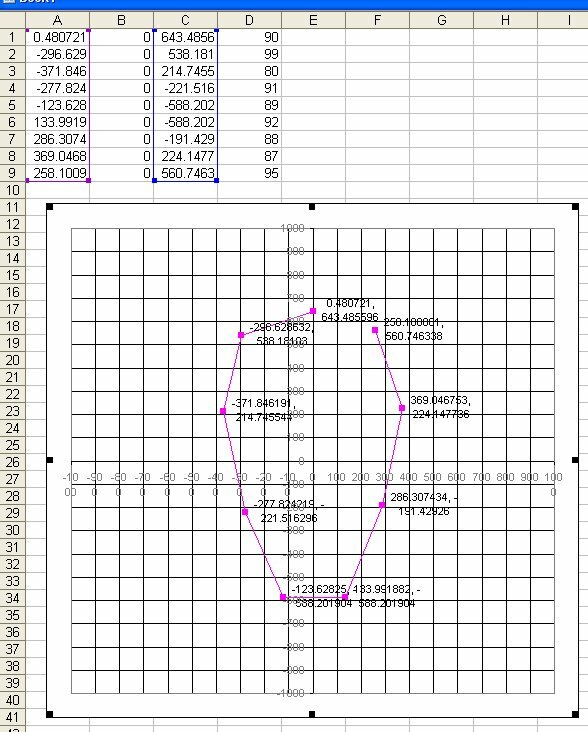 The coordinates are arranged, x,y,z, track width. z is the direction from left to right. Track width is measured from the inside of the track to the outside. The graph below shows the line graphically. By changing the coordinates, you can usually match the track pretty closely. If a car goes to the inside of the track line too far, usually about one car width, you will get a black flag. So you make the points match the furthest inside you want cars to go and then change the width of the track to make sure you don’t get black flags outside the track or if you get close to walls.